1.Superior abrasion resistant double mechanical seal made of silicon carbide(SIC) to ensure best seal effect and reduce abrasion from slurry. 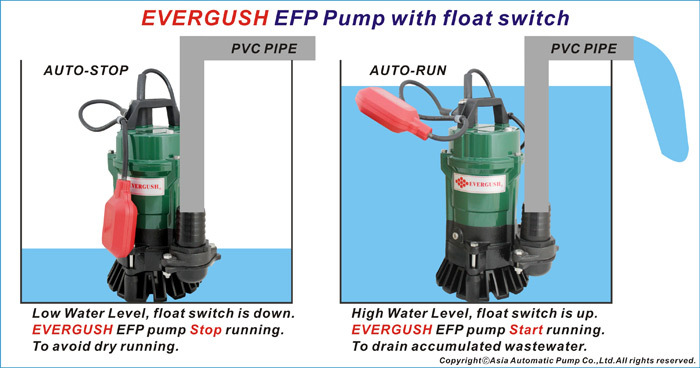 2.Equipped with agitator to create powerful stirring and pumping action for slurry. (Waste water containing below 30% slurry). 3.Portable structure for easy carry. 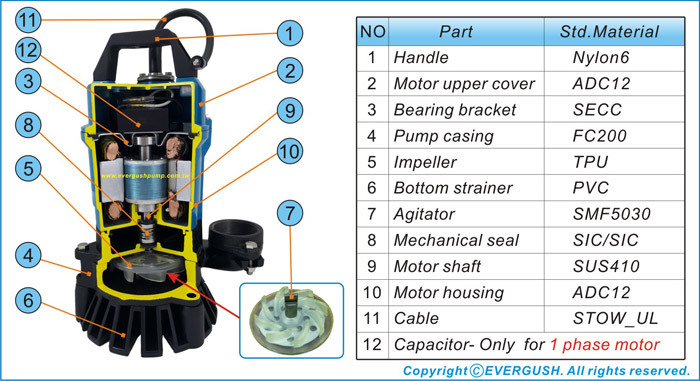 4.High efficiency 2P dry motor with overload protector,to protect motor from burnout when abnormal condition occurs. Drainage slurry, waste water, sump from construction site, factory..etc. Civil or tunnel engineering.Dewatering fluid containing solid sediment. 24 Hours/per day continuously running is forbidden. Liquids: Waste water or sump containing below 30% slurry.